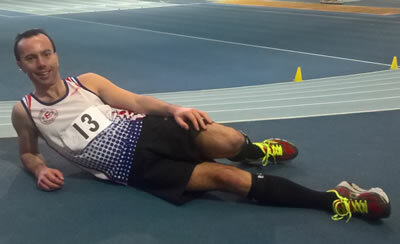 I was the first MV35 finisher in the 2,000 metre Race Walk at the England Athletics Masters Association Indoor Track and Field Inter Area Challenge 2017 over at the Lee Valley Athletics Centre. I was able to represent my second claim club, the Eastern Masters Athletic Club (EMAC). I am the current EMAC Outdoor Championship holder in the MV35 category for the 2,000 metre Race Walk. I look forward to supporting the Bedford Harriers if we compete in the EMAC league in the summer and I hope that more of our athletes can take part in a variety of track and field disciplines and to hopefully reach the finals!